Combine fellowship and fashion while helping the environment! 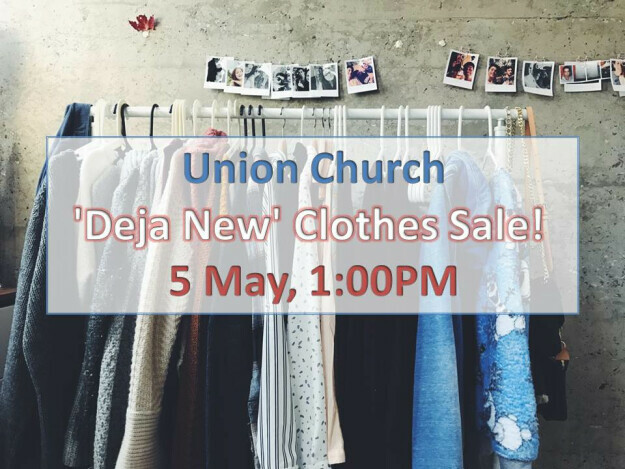 Drop off gently used ladies clothes to Union Church. Children's clothes for 0-12 years are also welcome. Email for more information or to get involved. Profits go towards Union Church Women's Ministry and Family in Need fund.